As CFO & Head of Asset Management, Enrique is directly responsible for finance, compliance, and HR. As Head of Asset Management, he is responsible for maximization of all assets’ free cash flows in collaboration with the regional managing directors. 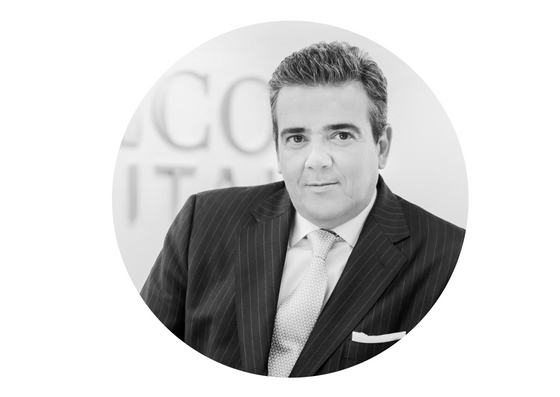 Prior to joining SuncoCapital, Enrique was VP & General Manager Americas & EMEA Global Asset Management at SunEdison (2015-2017), responsible for circa 7 GW of operating assets both Solar PV and Wind across North America, Latin America and EMEA. Prior to asummingthe position of VP & GM, he held several international senior financial positions as CFO EMEA & LATAM at Sun Edison, FD AB Sugar in UK, FD AB Azucarera (Madrid), CFO Fayrouz International in Egypt (Heineken Group) and FD Heineken Nederland Supply in the Netherlands (Heineken Group). He started his professional career in KPMG. Awarded in 2012 and 2013 as one of the 100 best Finance Directors in Spain (contest organized by KPMG and the financial magazine Actualidad Económica). Bachelor in Law and Business Administration at ICADE (Madrid) and is a Certified Public Accountant in Spain. More than 13 years of experience in international leadership and financial positions. Participated in the acquisition and onboarding of 7GW of assets specifically in USA and Latin America , optimizing and maximizing the CAFD of both Terraform Power and Terraform Global and running more tan 1,500 plants. Led the efforts towards creating a new asset management function within his region changing into an owner´s mindset and increasing the profitability both for SunEdison and the asset owners. Successfully asset management onboarding of over 2.5 GW of operating assets in LatAm and US. Successfully restructuring the production capacity in the Netherlands for Heineken Nederland Supply.